Lavish Reynolds entered the public eye on Wednesday night under heartbreaking circumstances. Reynolds' boyfriend, Philando Castile, was shot by police after being pulled over for a broken taillight just after 9 p.m. in Falcon Heights Minnesota — Reynolds sat in the passenger seat, and was forced to watch as police fatally shot Castile through the drivers'-side window. However, just after police shot her boyfriend, Reynolds began a Facebook live-stream of Castile's death. In a courageously calm voice, Reynolds (who also goes by Diamond) recorded the aftermath of her boyfriend's shooting, and provided a description of the scene that she says lead the police to shoot Castile. Reynolds began the live-stream with video of Castile bleeding in the seat next to her, and it continued as she explained that they were pulled over for a "busted taillight." As Reynolds explains to the camera that Castile was shot while reaching for his license, the police officer continues to point his gun through the window at Castile. While the police officer shouts expletives through the window, Reynolds responds politely, calling the officer, "sir." Reynolds' four-year-old daughter witnessed the event from the back of the car. Soon after the video begins, police tell Reynolds to get out of the car and the young woman is handcuffed. When she comes back onto the screen, Reynolds says she is being detained in the back of a police car before the video ends. As of Wednesday morning, a mere 12 hours after Castile's tragic death, Reynolds' video had over two million views on Facebook alone. All throughout Wednesday night, the hashtag #WhereIsLavishReynolds trended on social media; Reynolds' location after the end of her Facebook live-stream was unconfirmed. On Thursday morning, a video surfaced of Lavish Reynolds speaking to media outlets. In the video, Reynolds tearfully explains that she was not released by the police until 5 a.m. on Thursday. She also claims that she was given no food or water while she was in custody, and that she was separated from her daughter. Additionally, Reynolds says that the police would not allow her to see her boyfriend, or tell her whether or not he was alive or dead. In the video, Reynolds says over and over, "I want justice, I want peace," and she also explains the lasting damage her boyfriend's death will have on her young daughter. According to her Facebook page, Reynolds works at Embassy Suites Hotel, and is from Chicago. Reynolds was forced to watch as police shot her boyfriend; however, she proved herself unimaginably strong as she recorded the event, therefore holding the police accountable for Castile's death. 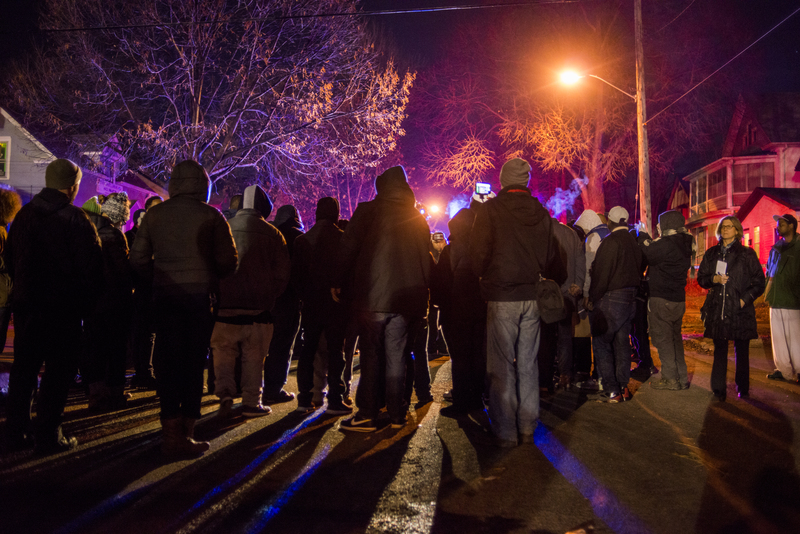 Not only did Reynolds' video capture the aftermath of the shooting, it also captured the attention of millions, thus heroically ensuring that Philando Castile's unjust death will not be forgotten.